We have moved to our new site at http://www.landtransportguru.net. Please follow this link to an updated article. JB Sentral Bus Terminal is a bus terminal in Johor Bahru, Malaysia. Located beside the JB Sentral Railway Station, the terminal serves the Johor Bahru Customs, Immigration and Quarantine (CIQ) Complex, City Square and Komtar JBCC shopping malls. The terminal is one of two bus termini served by Singapore public bus operators, the other being Larkin Bus Terminal. JB Sentral Bus Terminal is a relatively new bus terminal built in the late 2000s as part of the new JB Sentral Railway Station and accompanying JB Customs Complex. Located as part of the JB Sentral Railway Station building, the terminal serves a number of local bus services to the outer regions of Johor Bahru. This terminal initially started operations as a bus terminal for Zon Barat (West Zone) public bus services in Johor Bahru, referring to neighbourhoods and towns located at the west side of Johor Bahru City. As a general principle, West Zone bus services ply destinations that are located along Route No. 3 (Tebrau Highway) or west of Route No. 1 (Skudai Highway). When the JB Sentral terminal started operations, it helped to ease congestion along Jalan Wong Ah Fook (referred to ‘Bandaraya’ or ‘City Square’ by most JB commuters), which used to be the starting and terminating point for all buses in downtown JB. 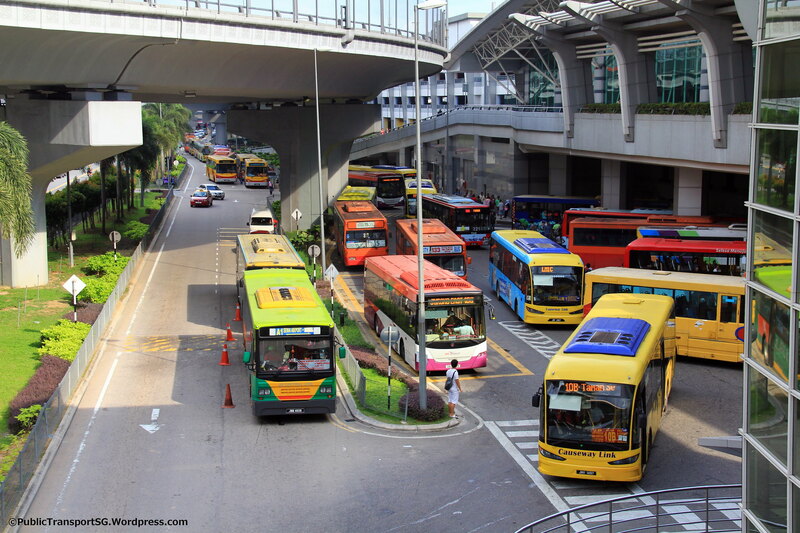 Following the closure of Jalan Wong Ah Fook to all bus services, from 18th May 2015, all East Zone and West Zone public bus services are amended to start and terminate at JB Sentral terminal, which led to severe congestion and overcrowding at the terminal. While West Zone buses used to layover at the 11 bus berths before their next departure, bus operators such as Causeway Link and Maju now no longer layover their buses at the terminal. Buses will disembark passengers at the entrance ramp to the terminal, then proceed to layover on the side of the road along Jalan Jim Quee. Buses will only enter the berth a few minutes before their next departure. The CWA Airport Shuttle Service provides direct connection to Senai Airport. Following the closure of Kotaraya II Bus Terminal on 01 Nov 2014, local bus services 160, 170X and 950 were made to loop at Jln Tun Abdul Razak before their relocation to JB Sentral Bus Terminal. This marked the first time that cross-border bus services were made to serve the terminal. Owing to the shortage of berths, Service 160, 170X and 950 do not have designated berths at the terminal. They park for short periods at parking lots away from the passenger concourse, and timekeepers keep track of arriving and departing buses. See Gallery for the bus boarding area. Due to the proximity of the bus terminal with the JB CIQ complex, few passengers would opt to take the bus between JB CIQ and JB Sentral Bus Terminal. As of 18th May 2015, all bus services previously calling at Jln Wong Ah Fook (except JB1) were relocated to JB Sentral Bus Terminal. The huge increase in bus and passenger traffic at the terminal has led to frequent jams along Jalan Jum Quee leading to the terminal. The arrangement is likely to last for months to years as canal upgrading works are taking place at Jln Wong Ah Fook. 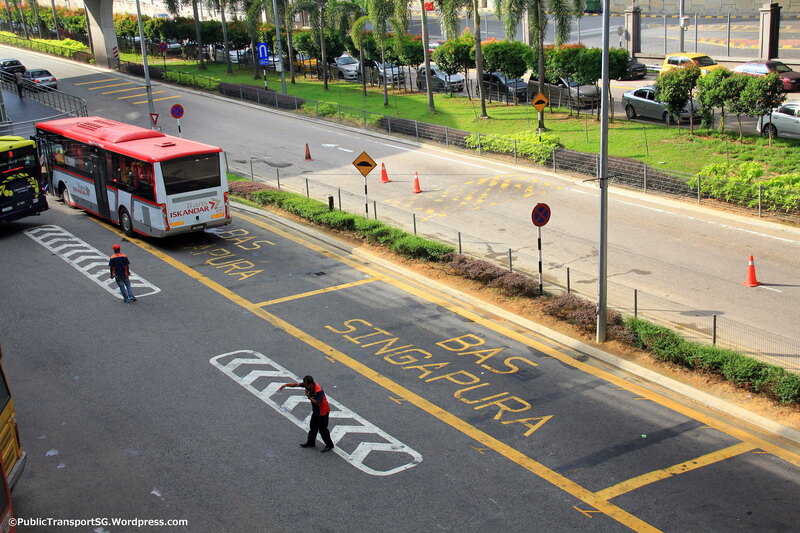 More local bus services are available at bus boarding points along Jalan Tun Abdul Razak and Jalan Wong Ah Fook. Buses from JB CIQ will follow the only exit out to the Inner Ring Road (Jalan Lingkaran Dalam), making a U-turn at the multi-tier flyover junction with Tebrau Highway (Lebuhraya Tebrau), right turn into Jalan Tanjung Puteri, another right turn into Jalan Jim Quee and entering JB Sentral Terminal on the left. Buses from JB Sentral Terminal will exit to Jalan Jim Quee and head back to JB CIQ via Jalan Tanjung Puteri and Jalan Lingkaran Dalam, making a U-turn at the multi-tier flyover junction with Lebuhraya Tebrau. This is because public buses can only enter the checkpoint complex from Jalan Lingkaran Dalam (eastbound). Still SBS will be better. Extending to Larkin will worsen the current situation. Compare 70 plus KUBs versus 20 MAN NL323Fs. How much is the fare to get there and back like? Do we just use the EZ Link card? can the passenger alight or board at the bus terminal ? The fastest route is by BET4 (Maju), but you can also take 23 (Causeway Link). Board at JB Sentral Terminal. Thank you for your reply 🙂 How do we pay? Do you know the boarding point in Permas Jaya? Hi what’s the fastest way to pasir gudang and how long is the journey? Maju BET5 is the fastest but the bus can take very long to appear. Maju 224 also goes there but takes a longer journey. We are not sure about the journey time. Does bus 221 stops at aeon bukit indah? Or is it a different bukit indah? Hi is there any bus from ksl city to legoland? You have to take S1 or 227 from KSL City to JB Sentral, then transfer to JB1 to Legoland. is there any bus can go to jalan permas1/25 from permas jusco?what time have the bus? You can take Causeway Link 23, City Bus 123 or S&S 2 from Jalan Permas 9/5 (AEON Permas Jaya bus stop) and alight anywhere along Jalan Permas 1. No timings are avaliable, just wait for any bus to appear. can i get a bus from jb sentral to kuala lumpur? Most express coaches to KL and other parts of Malaysia operate out of Larkin Sentral, which is a short ride away. From JB Sentral Terminal, many services head to Larkin, simply ask the bus timekeepers there to guide you to the bus. Cloud,u can go to Merlin tower.No need to go to Larkin.they hv 2 different company operate bus to different part of west Malaysia.I bought my bus ticket to genting highland from there last Oct.the bus company agent open morning 8 or 9 am til 10pm. Take Bus 221 from JB Sentral Bus Terminal. After you clear JB Customs, follow the signs to JB Sentral and you will see the terminal. Hi, may I know how do I get to saleng, kulai JB the quickest way possible from singapore by bus? Let’s say I depart from novena. From Newton Circus carpark, take CW5 to Woodlands Checkpoint, and after clearing immigration, take any Causeway Link bus to the JB Checkpoint. After clearing immigration, follow the signs to JB Sentral and you will reach JB Sentral Railway Station (JB Sentral Bus Terminal can be seen on the way there). Take the lift/escalator to the bus terminal. Board Causeway Link 7B, 777B, BET1 or S&S Route 7 to Saleng / Kulai. Hi, may I know if there is any bus from Taman Setia Tropika to JB Sentral? There are no direct buses, however you can try taking IM03 to Larkin Terminal amd transferring to other bus services for JB Sentral. 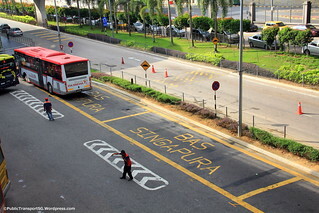 You can board IM03 from bus stops along Jalan Setia Tropika 1/25. Hi, i noticed there are 3 buses going to Kota Tinggi, 227, 41 and 6B. Are there differences in taking them besides the bus operators? How do I find out about their time schdule and which days they operate? Thanks. is there any transport from JB Sentral Bus going to Petronas Tower in Kuala Lumpur the fastest way? Thank you? Long distance coach services are only available from Larkin Terminal. Otherwise, you may consider taking the KTM from JB Sentral Station just next to the Bus Terminal. Take coach from Merlion Tower to TBS.Then take LRT to KLCC.